Rampage: Secret Squadron Goranger: Episode 56, finally! Secret Squadron Goranger: Episode 56, finally! Someone asked me to do a batch of all the single episodes we released after 32, so here it is. You'll notice the files include episode 56, which has been a long time in the making, and to be very, very honest just hadn't come out yet because yours truly is a lazy bum. This batch was the perfect opportunity to get the ball rolling again, so here it is! In this episode, four of our brave heroes go on a vacation! Or at least it was supposed to be one, until they were targeted by a Black Cross Army assassin! Will they be able to have their oh-so-deserved break? Or will they be dragged into a fight? Watch and find out! I get ya,man, I'm tired of my break too. Okay, first of all: you will notice there is only one link, for a softsub batch. That is because I don't have the hardsubbed files for all the episodes on my computer (since I wasn't on distro duty until recently), and because the change in video quality, filesize, and everything else just wouldn't justify the time it would take to download everything. So, for now, all hardsub support has been dropped, including individual torrents, which were unseeded anyway. Feel free to share your own encodes in the comments, and be sure that this is temporary - eventually there will be a hardsubbed batch. Second point: this is going to be our last episode for a while. Our Portuguese-speaking branch (well, the main office. We're the branch) has been struggling to find time to work on the show, and haven't released anything new either. As soon as they are back, we will be too. Third: we recently got news that Goranger is getting a blu-ray release! That is pretty awesome, because it means better quality video and audio (I guess, I don't understand the technical aspects and could be mistaken), and therefore better quality subs. As if that weren't enough, we also got word that Toei Channel is going to re-air the show, which means captions! Captions are, to be honest, the greatest thing in subbing old shows, because it allows us translators to be 100% sure of what is being said. We intend to rework the show entirely as those come out, so keep an eye out for this new version. And this has gotten long enough already, so... See you on the next Goranger! Yo know, maybe the V2 can be released after the captions are uploaded after the airings, and also the Portuguese part could wait till then. Also, I can help you with the hardsubs. I'm on Twitter as Just Dexter (@dexterjp1998). Well, that's more or less our plan, to go working on revamped versions of everything alongside the captions and new raws. We're not going to release those anytime soon, though, so don't hold your breath. As for hardsubs, you're welcome to keep doing them, but on our side there's more of a logistics reason as to why I decided to cut support for them. I hope you understand. Man, having Bluray AND captions be amazing! I can't wait for that to happen. thanks for the batch. cant wait to see more episodes! It's all good man. I still have all the episodes on hard-subbed, but it's good to hear at least another episode. I hope y'all still have a chance throughout to finish this show! There's a big competition that involves 5 vs 9 right now, Kyuranger. Is there a possibility of a torrent batch for 1-31? Awesome release! Your work is very much appreciated by me and my wife, we are totally in love with Goranger, truly a hidden TV gem! Keep up the great work guys!! A lot of Torrent-hosting sites have been forced to close down in the wake of KAT, thereby rendering the torrents useless. We'll just have to wait until the various fansub groups find new hosting accommodations. 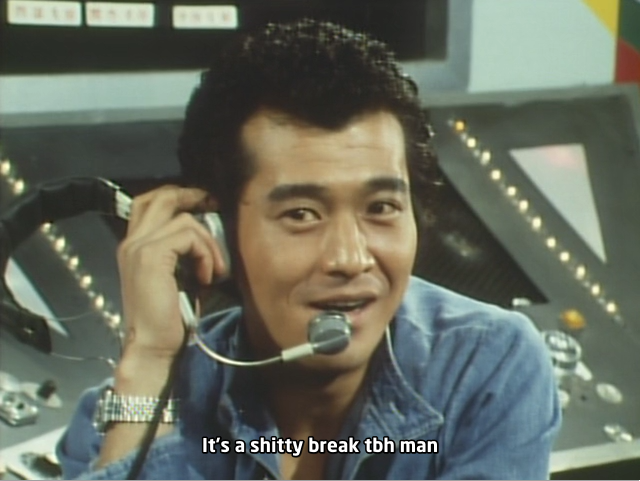 is toei going to start airing all past SS series or just goranger? Hey, just want to let you know that your site for Ep 53-56 is not working. 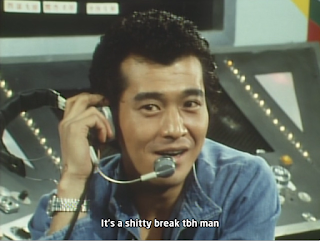 I made new torrents for the LxC stuff, and completely forgot about Goranger. Hang in there, I'll make a new batch tomorrow once I'm up. Aww man, Nyaa.se seems to be down. And from what I've heard, it ain't coming back. Now where am I gonna get my Goranger fix? Hey when's the next batch being released? Is this still being continued? They aren't dead, they always sub episodes in Portuguese first, then focus on English. Lately, their Portuguese branch has been shelving this series for some time, but they said they still plan on finishing the series someday. Just be patient. I just checked their Portuguese site, and while it is true they haven't worked on Goranger in a few months, they did at least do 57 and 58, maybe we could get those here at least, until they start it up again? Hey man I understand that we've got all the way through 56 but can we get some more pls? I'm watching through the series and I'm at 43 right now, so I'll need more soon. Also could you add 53-56 to MEGA? The current site listed has been taken down.